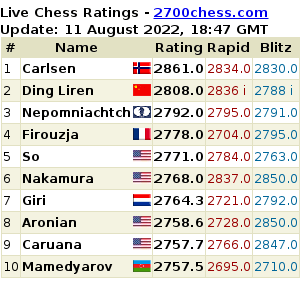 via Carlsen retains title @ Shamkir 2015; Wesley So @ 3rd place. The Shamkir Chess 2015 also known as the 2nd Vugar Gashimov Memorial held in Shamkir, Azerbaijan, 17-26 April 2015, in memory of the late Azerbaijan’s great and famous chess player GM Vugar Gashimov was won for the second straight year by the reigning World Champion(WC) Magnus Carlsen. 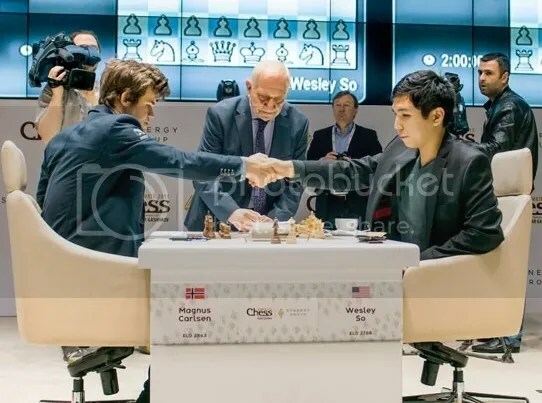 Read full story; Carlsen retains title @ Shamkir 2015; Wesley So @ 3rd place.